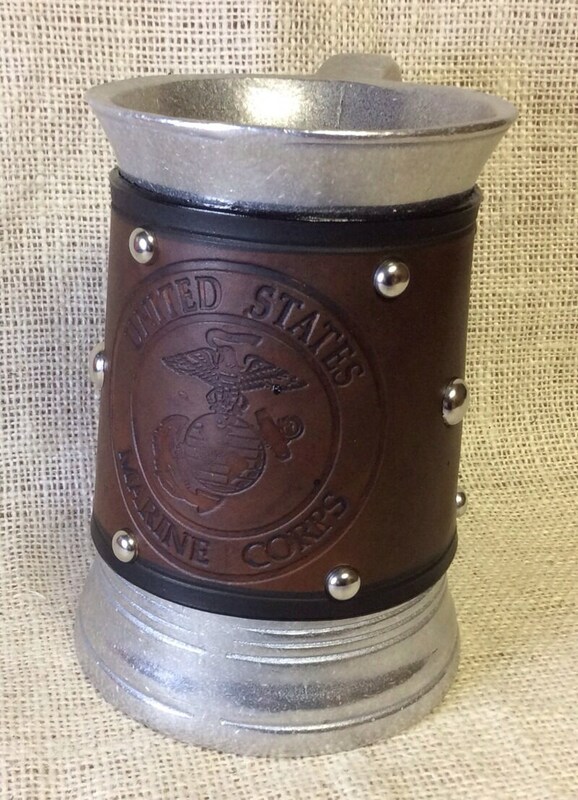 Finally, a beer mug for the Military in you. These mugs are made of Statesmetal, a cast aluminum alloy that is perfectly food safe for hot and cold beverages. 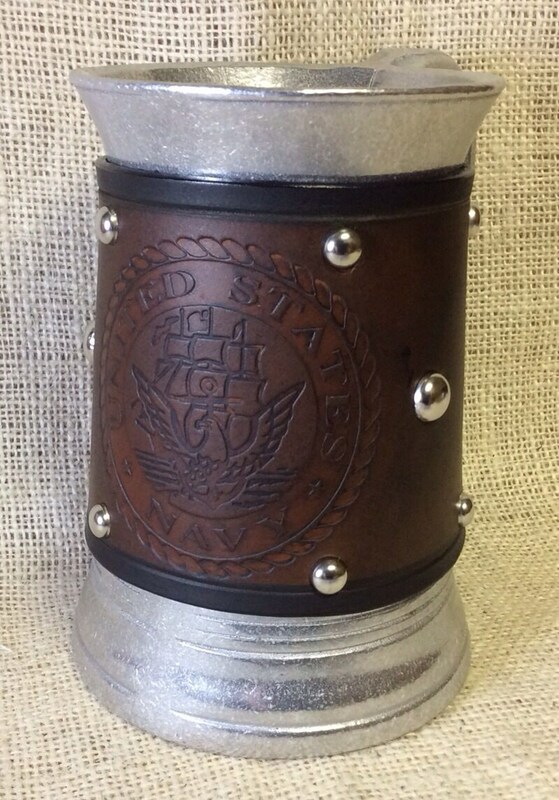 It has the look and feel of pewter, has no lead, and will not leave a metallic taste in your beverage of choice. The leather wrap laces up on the back side and may be removed for cleaning. The cover is embossed with the military logo of your choice and edged in silver toned studs. 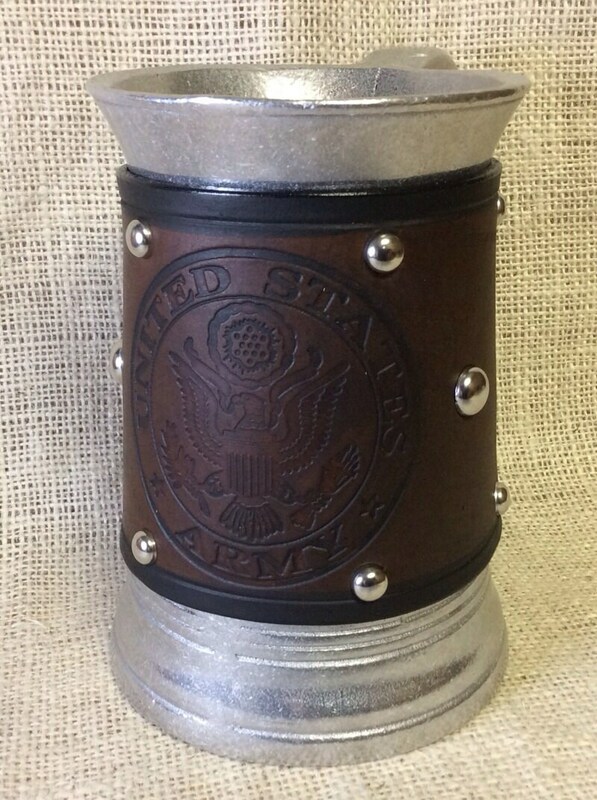 This mug will hold 36 ounces of your favorite libation! 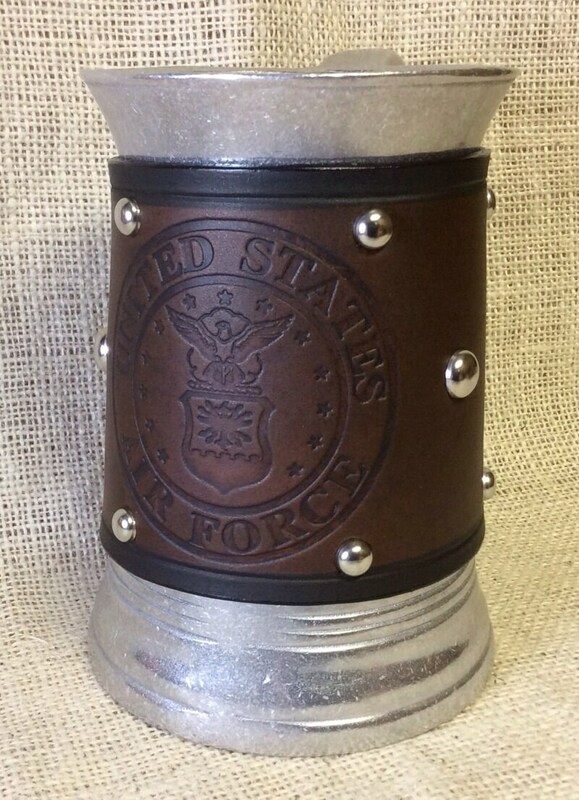 We will make the leather wrap to your color choice and ship your completed mug as soon as we get it finished, generally within a week, depending on our work load.